The Largest and Most Reputable Psychic Network in Australia and possibly the World! Many of our happy psychics have been with us for years and years. They know they will receive their payment on time every time! They also know they can build up a regular clientele on this network, giving them a sense of security and purpose in life. If you wish to make a positive difference in the world and get paid well without hassle, then apply to read with us. Genuine and experienced Psychics required to read on weekends – especially Sundays! 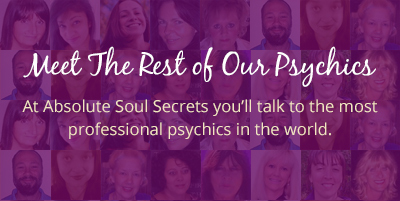 Are you a reliable and honest psychic who is seeking to help others? You can work from home or almost anywhere and earn $$$, £££, €€€ or whatever currency you like! We have so much psychic work available on weekends and weekdays that we encourage you to apply. Applicants who submit their interest for work on Saturdays and Sundays are highly considered! Right now, we require contract psychic readers to read during our very busy weekends. Or you can go on our ‘casual fill ins list’ without being on our roster and we will call or email you when we are busy if there is a free spot available. We have been leaders in the phone psychic industry since 2000 and we can offer you. Prompt payment at great rates paid directly into your bank account. Payments to Australian and New Zealand psychics are made each fortnight. Payments to overseas readers are made monthly. Regular readings, we have lots of calls coming in for good psychics, check out our home page and see the calls coming in. Pick the times that suit you, we never tell you when to read. A friendly spiritual team of like-minded people who really care about providing great psychic readings at an affordable price. Heaps of media coverage online and in print. Check out our Social Media Pages including Facebook, Twitter, Google Plus, Pinterest, Linked In and more. We are super active on these pages promoting our psychics and the network. Go to Facebook and check us out, we have over 40,000 genuine FB likes. Your own exclusive profile page on our very busy website, with thousands of unique viewers every week. A range of psychic skills are required to read on our network. If you have your ‘own way of reading’ then that’s fine too! No scripts, no telling you how to read, you read when you wish…all these benefits and more if you read on our genuine Australian network. As we currently have a waiting list of pre-qualified overseas applicants (outside Australia), we will be considering Australian applications only from suitably qualified professional psychics. Applicants from other countries outside of Australia, please feel free to apply after 1st June 2019. Click Here To Apply for Contract Psychic Work. Fill out the form now and we will be in contact soon. Trust Your Intuition and Apply Today!